Of all the technical session and talks I went to today the topic that was the most exciting was the “ArcGIS Maps for Adobe Creative Cloud”. The plugin for Adobe Creative Cloud is a bridge between ArcGIS and Adobe Illustrator and Photoshop. This plugin allows cartographers and graphics designers to import vector and raster data directly from ArcGIS Online and from shapefiles into Illustrator and Photoshop. Once these data are in Illustrator and Photoshop the data can be manipulated and styled using the native tools in Illustrator and Photoshop. This tool fills a need that cartographers have wanted filled for many years. I foresee these tools as being very important to allow graphics designers within our organization to extend the spatial data that we have created to publications and other materials that UCANR produce. To download and start using these tools you will need access to Adobe Creative Cloud https://exchange.adobe.com/addons/products/16913 and an ArcGIS for Organizations account http://www.arcgis.com. If you are a member of the UCANR network and do not have access to ArcGIS Online fill out the following form and we will help you gain access to the ArcGIS Online http://igis.ucanr.edu/resources/esri_software/. 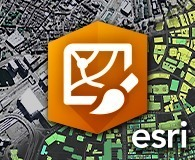 ArcGIS Pro 2.0 and ArcGIS 10.5.1 Released in advance of the User Conference this year. To see what is new in these new releases go to http://pro.arcgis.com/en/pro-app/get-started/whats-new-in-arcgis-pro.htm for ArcGIS Pro 2.0 and http://desktop.arcgis.com/en/arcmap/latest/get-started/introduction/whats-new-in-arcgis.htm#ESRI_SECTION1_76DF146740D047C78D38DC5FFF917CCD for ArcGIS 10.5.1. ArcGIS Pro and ArcGIS will be have new releases every 6 months in to the future. As always, the ESRI User Conference is a well done production with professional presentation and branding. Being at the ESRI Conference is always a nice opportunity to see old friends in the GIS community.